Eudora Open Source Edition is a mail client, put out by Mozilla (the makers of Firefox) that works like Microsoft’s outlook in that it allows you to download all of your email into one place so that you have one mailbox. Currently Eudora OSE combines Mozilla’s Thunderbird with the classic Eudora features. The program is downloadable for Mac, Windows, and Linux. The product reviewed in this article is the Windows version. Eudora’s installation and set up are fairly easy when compared with other e-mail clients. 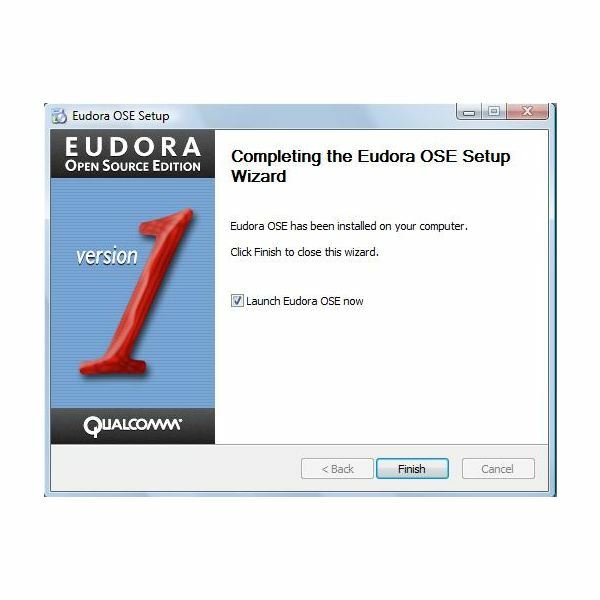 To install Eudora, download the program from the Eudora website. There are two versions to download – one for Mac OSX and one for Windows; I downloaded the version for windows. Once the program has downloaded, double click on the program name. The installer will be activated, and you can install the program as you would install any other. Once the program has installed, open it. You will then be able to set up your email address. Before you configure your email account, you will want to know whether your email program uses POP or IMAP, and the addresses for incoming and outgoing mail. The program will then prompt you for each piece of information that you will need to enter as you set up your email portfolio. The only reason why this doesn’t get a higher mark is because as someone with multiple email addresses to configure, I had a difficult time figuring out how to add multiple addresses to Eudora. I did not find that Eudora OSE was easy to use. The program was not intuitive. The biggest problem I had was in setting up mailboxes so that I could import my mail. This should be an activity that is seemless and that isn’t buggy. I also had a difficult time importing mail, addresses and other information from other programs. I’m not sure that this isn’t a problem that is derived from the fact that the program is still in development. At the same time, the graphical interface also leaves something to be desired. The icons, while they do displaly their meanings when you mouse over them, are not very helpful in terms of what you might want to do in the program. While they aren’t terrible, like in some programs, they will take getting used to, especially if you tend to work in Microsoft products. Eudora OSE’s developers intend to keep Eudora consistent with the previous versions, meaning that those who have become accustomed to the way Eudora works can expect to have Eudora work the same way. You can choose whether you would like to preview yuor mail, or read it, in the same pane as your list of messages and your list of folders. Eudora also automatically transforms the email address into a sender name, so that you will know who sent you that email without having to sort through everything. You can search for an email or save your search. One of the coolest features of Eudora is the reference lookup feature. Have you ever been reading or writing an email and needed to look up information to send with it? This feature will help you to do this. Customize your toolbars, redirect your emails, and extract attachments form emails in order to save space. Eudora performs many of the standard features we’ve come to expect from a mail program. Like other open source programs, Eudora OSE is offered for free. This is one of those times, though, where free isn’t necessarily the greatest option. If you love Eudora, and you’ve been using it for a long time, then you will most likely love Eudora OSE. Personally, I prefer Thunderbird if we’re talking open source programs, since Thunderbird has a much more user-friendly interface. Really, it comes down to preference and familiarity on these things. There are tons of options for calendar plug-ins with Thunderbird, and it’s looking like Mozilla is planning on having add-ins for Eudora as well. Time will tell the true benefits of Eudora, as the program exits its Beta phase. Eudora is for you if you’ve been waiting for it. This program is okay if you need a mail program, and you will probably like the program if you are used to the interface. For me, a long-term Outlook user, the interface just isn’t intuitive, and I never did get the mail setup going. The beauty of having so many different programs available, though is that many people have many different setups that seem intuitive to them. Check out Eudora if you’re looking for a no-frills mail client. Be aware that this program does not include a calendar or task list, so you will want to have another program for managing your time.